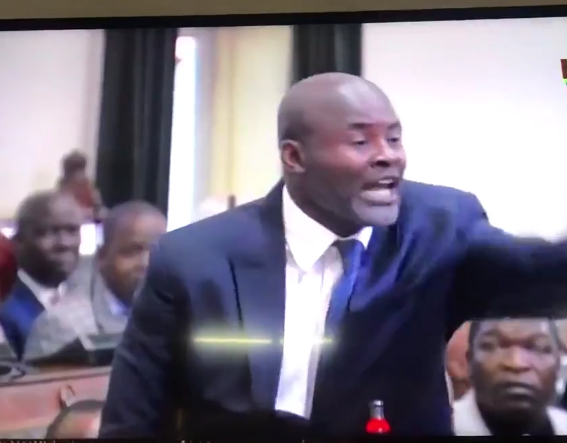 Norton legislator, Mr Temba Mliswa was ejected from the National Assembly yesterday for disorderly conduct in the Chamber after he continued rumbling despite repeated efforts by presiding officer to behave and restrain himself. Deputy Speaker of the National Assembly Cde Tsitsi Gezi had to invoke provisions of the Standing Orders, showing the door to Mr Mliswa, who is facing investigations of allegedly demanding $400 000 bribe from businessman, Mr James Ross Goddard of JRG Contracting (Pvt) Ltd to help his company land a mining deal with State concern Hwange Colliery. The businessman allegedly declined and alerted authorities. In yesterday’s proceedings, Mr Mliswa rose on a point of privilege and complained that there was need for Parliament to launch an investigation against Chegutu West legislator Cde Dexter Nduna (Zanu-PF) whom he said had confessed to have committed crimes related to murder. Mr Mliswa said he had been threatened by Cde Nduna. He was referring to a heated exchange between him and Cde Nduna on Monday. It was on whether Mr Mliswa should participate in proceedings of the portfolio committee on Mines and Mining Development given that his case was being investigated by Parliament. Mr Mliswa’s rants lasted over 30 minutes and ate into question time that is usually earmarked for Wednesdays. During the Monday proceedings, some legislators had asked Mr Mliswa to recuse himself on the basis of allegations he was facing but he refused drawing an altercation which saw tempers flaring among legislators. He refused to take back his seat after Cde Gezi, who was presiding over the sitting told him that she would want to study his submission before making a ruling. “You should listen to me before you make your ruling. These are the issues that have caused disharmony in the country,” he said. Cde Gezi had no option but to direct that he be taken off the Chamber for disorderly conduct and refusing to take heed of orders from the Chair.